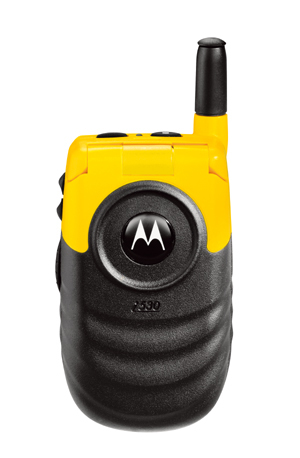 Nextel has launched the Motorola i530, a flip phone that can withstand war--literally. Billed by Motorola as the, "First Flip-style Phone in the U.S. that Meets Military Standards for Resistance to Dust, Shock, Vibration and Humidity", the phone is designed for people who are rough on their phones. Besides being durable, the phone offers few high-end features. However, it has most of what its target audience is looking for: * Speakerphone * GPS * 600 contact phonebook The Motorola i530 is available nationwide starting today. With a service agreement, the cost is $124.99.